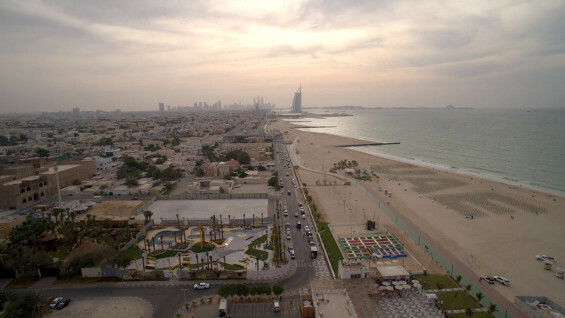 Set in an ideal beachfront location, XDubai introduce a new, dynamic skatepark at to the Dubai community at Kite Beach. This will be the largest, all round skatepark facility in the UAE with areas for novices through to professionals. Enhancing an iconic park setting and creating a focal hub for the community of Jumeirah. the skate park is a unique facility due to its functionality, dynamic uses, its striking aesthetics and contemporary design. 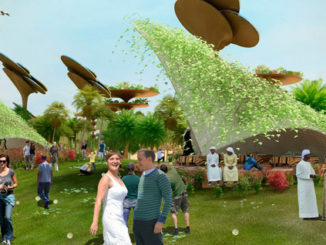 All this will position the plaza as one of the flagship public space developments in Dubai. 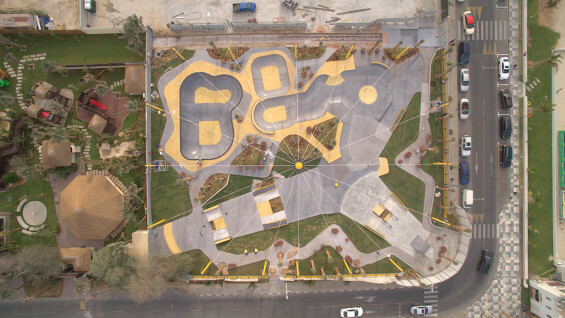 The skate park was designed and built by Convic; a well-known Skatepark design & build specialist from Australia with an established local office in Dubai. 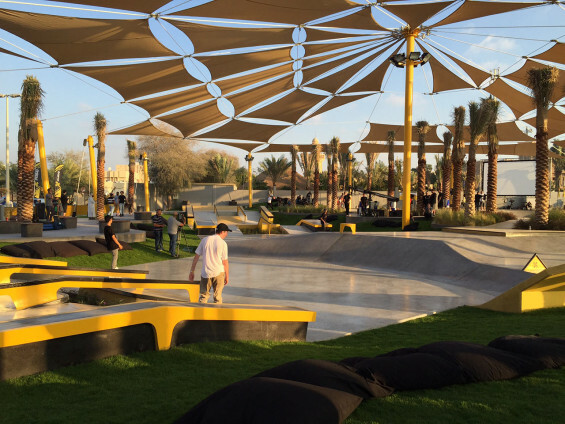 “The skatepark was born out of a need to create an exciting recreational space for Dubai’s youth. 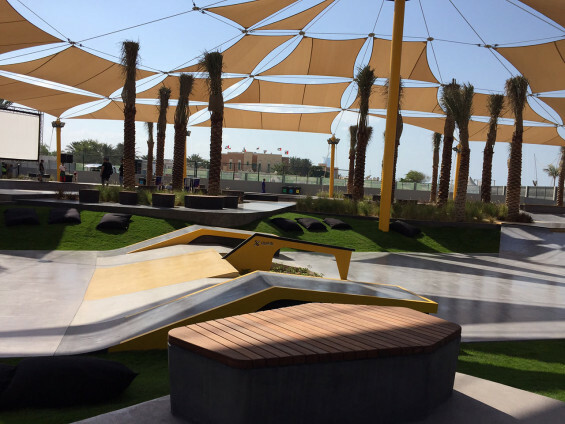 It will give both experienced skaters and beginners a completely custom-made place where they can thrive, have fun, and stay physically active,” said Javad Khoramifar, Marketing Director of XDubai. The concept design has a number of clearly defined spaces that respond to the proposed uses and to the existing site context. These are ‘zones’ that inform the overall structure and composition of the design. A series of pathways and refuge areas act as transition zones through the reserve to the surrounding beachfront, cafes, and adjacent kids parks. 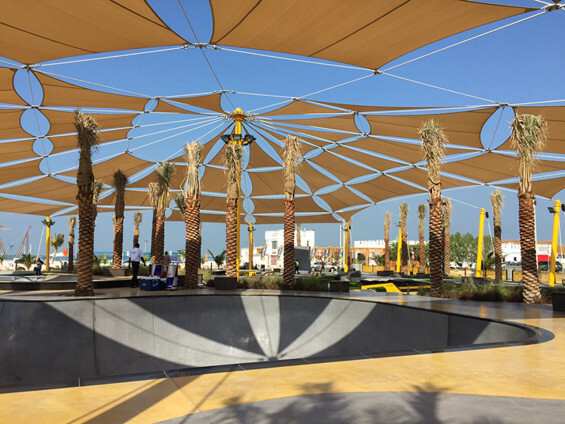 It offers some informal seating areas and sloped lawns shaded by a large iconic shade structure with open sections for palms to poke through, creating an interactive space filtered with dappled light and shade. A low profile skate plaza with unique street elements and transition flow area with banks, blocks and quarter-pipes connected to create continuous runs. This is the perfect beginners park with unique obstacles for novice riders to learn and develop their skills. More challenging street skate elements are focused in the central space of the plaza, allowing large events to be held in this area. Obstacles including ramps, ledges, banks, steps, walls, rails, and grinding poles have been picked to challenge skate users, but also provide a setting that can accommodate varying skill levels for both everyday use and competitions. The XBowl provides the biggest feature of skate area within the park. With the deepest reaches rivalling some of the world’s most challenging bowls, XBowl at 3.3m deep provides a challenging skate environment for more advanced and intermediate skaters to perform ollies, kickflips, and aerial grabs. “With its striking aesthetics and contemporary design, we are confident that the facility will become one of the most iconic and buzzing hubs in the emirate. 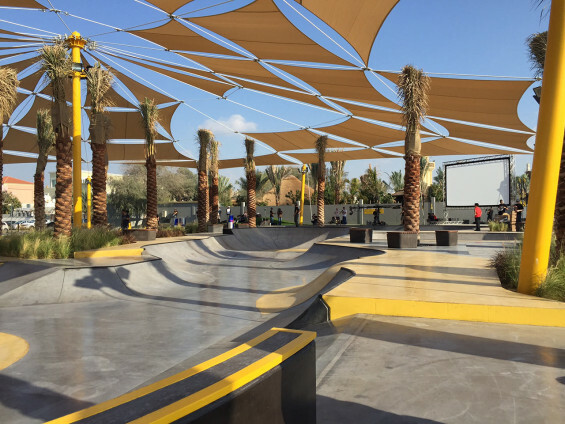 Besides skateboarders, BMXers, inline skaters and scooter riders will also have a destination where they can train and develop their skills.” Ismaeil Al Hashmi, Managing Director of XDubai commented. “The unique architectural appeal of this iconic facility combined with the beachfront location and world class features will see this facility be instantly recognisable around the world as belonging to Dubai. It will help put Dubai on the “must visit” list for any action sportsman whilst providing a training ground for young local athletes from beginner, right through to elite level. XDubai are to be applauded for their vision in making such a critically important investment in the city of Dubai and its people, particularly its youth.” Simon Oxenham, Managing Director of Convic.